What terribly sad news to wake up to: today Claudio Abbado died at his home in Bologna. He was 80. This should be a front-page news story instead of just a link on the New York Times homepage. “Wanderer, there are no paths. There is only wandering.” This quotation, which Claudio Abbado’s long-time friend, the Italian composer Luigi Nono, discovered on the wall of a monastery in Toledo, might also serve as an emblem for the life of Claudio Abbado: not to map out one’s life according to certain paths but rather to proceed, to live, and to remain open to experiencing what is new. In other words, a pathless wandering and searching. 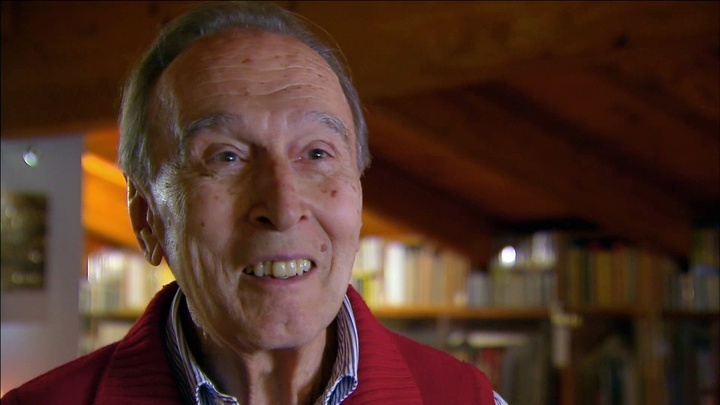 In just this sense Claudio Abbado always “pathlessly” sought out the new and unknown in his creative work, and he did so right up until the last second of his very full and fascinating life. Mr. Abbado was also known for his disdain for the trappings of a modern, media-driven conducting career. As communicative as his podium manner was, through much of his career he seemed slightly awkward coming on and off the stage. Explaining this in a 1973 interview, he likened himself to the conductor Hans Knappertsbusch, whose habit was to refuse curtain calls. It was a point of pride for him that he never actively sought the music directorship of any orchestra. But directorships came his way anyway. The Lucerne project was the zenith of a life in music that had as its essential credo a word that you don’t always associate with conductors, those supposed tyrants of the podium: “listen”… The message of listening was about encouraging every player in the huge ensemble needed to play Mahler’s symphonies to listen to one another, to know the score as well as he did. Their performances of all but the 8th, which Abbado didn’t have the chance to play in Lucerne, are the most revelatory and moving Mahler performances of recent decades – arguably ever. [W]ith those musicians in Lucerne, Abbado was able to lift the veil on some other realm of experience, to put us in touch with a larger mystery even than the notes the orchestra was playing. 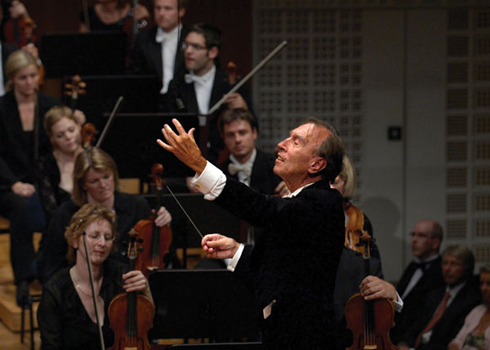 [His final Lucerne concert] was a communion between Abbado and his players of devastating intimacy and astonishing emotional bravery, which asked the most profound questions about what the musical experience, and even what life might be about, with its beginnings and unfinished endings, its questions and unfilled answers, its sounds and its silences. Abbado’s concerts weren’t mere performances of pieces of music, they were searing, transformative existential journeys. That they have come to an end is an unimaginable loss. Remembering the victims on this 25th anniversary of the Lockerbie bombing, especially the brilliant Julian Benello. After graduating from Yale, Julian was studying cognitive sciences at Cambridge and helping assemble a commemorative anthology in honor of his father, the sociologist C. George Benello. The composer Gavin Bryars also lost a dear friend in the carnage, the sound engineer Bill Cadman. In his memory he composed the Cadman Requiem. In the first place, although neither Bill nor I were practicing Christians, a requiem still felt like the right thing to compose. I was reminded of being at Cornelius Cardew’s funeral, where the majority of those present were either atheists, communists or both, and the absence of any person in authority, like a minister, meant that the event lacked coherence. There was no sense of structure and no one knew what to do next — it was only the arrival of another funeral at the graveyard that pushed the burial forward. Having something formal, like a requiem, is almost reassuring in such circumstances, irrespective of religious belief. However, when I looked at the form of the requiem itself, as distinct from the idea of one, most of the sections didn’t seem to me to be appropriate to Bill’s death — asking for forgiveness and so on… Then I thought of Caedmon’s Creation Hymn, the earliest poem we have in English, and Bill’s surname “Cadman” may be a corruption of this name…. Writing a requiem is something that I could only have done in this personal context, finding it less appropriate to intervene in public grief….